These emerald wedding palettes prove that green is still a showstopping color for weddings! Because emeralds have so many subtle tones, it’s a perfectly versatile color that can add a fresh, earthy feel or a glamorous, sophisticated vibe. Whether you pair it with neutrals, vibrant tones, or pastel hues, emerald green looks great as an accent or a primary color in nearly any palette. photos by Emily Star Poole, venue and event planning by The Living Desert, wedding dress by BHLDN, bridal accessories by Silver & Quill Jewelry, groom’s apparel by Indochino, and rentals by Folklore Rentals; see more from this wedding here! photos by Andrew Edwards Photography, venue: The Market at Grelen, floral design by Hedge Fine Blooms, stationery by Karl Neiswender, makeup by Gohar Makeup, hair styling by Brianna B Adams, wedding dress by Morilee, bridal accessories by Rose Avenue Floral, Blue by Betsey Johnson, and Badgley Mischka, groom’s apparel by ASOS, and groomsmen’s apparel by StudioSuits; see more from this wedding here! photos by Kristen Soileau Portraits, event planning by SoCal Wedding Consultant, floral design by Flower Allie, wedding dress by Maggie Sottero, bridal accessories by Balanced Bead and Tassel, bridesmaids’ apparel by Unique Vintage, groom’s apparel by Caravelli, and rings by Provenance Rentals; see more from this wedding here! photo by Vein + Vessel Studios, venue: Camp Wyman, floral design by Anew Market Creations, stationery by Misty Manley, hair and makeup by Danielle Style, wedding dress by Sarah Seven, and groom’s apparel by ASOS; see more from this wedding here! photo by Karra Leigh Photography, event planning by Vanity Affair Event, venue: Castaway Portland, floral design by Vanessa Schmidt Co., stationery by Parkside Prints, makeup by Kiss & Makeup Artistry, hair styling by Swept Away PDX, wedding dress by Truvelle Bridal, bridal accessories by Anthropologie, and rentals by Something Borrowed Portland; see more from this wedding here! 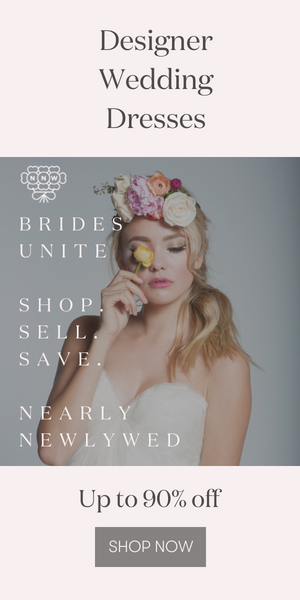 photos by Eden Strader Photography, event planning by Spell Bundle and Tealight Events, floral design by Pink Pineapple Florals, bridesmaids apparel by For Love and Lemons and The Reformation, rentals by Signature Party Rentals and Spell Bundle; see more from this wedding here! photos by Sanford Creative, event planning by The Foraged Fête, venue: The 1909, floral design by I DEW FLOWERS, stationery by By Invitation Only, makeup by Key Beauty, hair styling by DKW Styling, wedding dress by Rue De Seine, bridal accessories by Forever Soles, bridesmaids’ apparel by Free People and For Love and Lemons, groom’s apparel by Nordstrom, macrame by Everyday Macrame, rentals by Circa Vintage Rentals and Otis + Pearl Vintage Rentals, backdrop by The Creative Shift, and calligraphy by Creatively Spun; see more from this wedding here! Obsessed with these emerald wedding color palettes and looking for more color ideas? We’ve got 19 reception table decor color palettes you’re going to love!